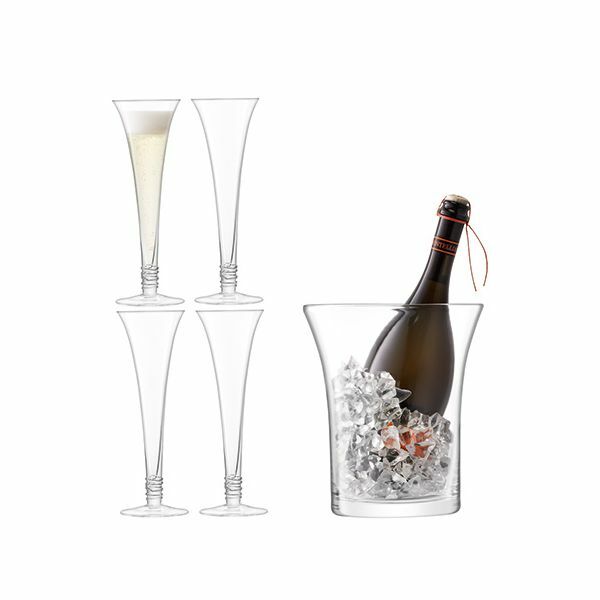 This prosecco serving set includes four hollow stemmed flutes and an ice bucket. 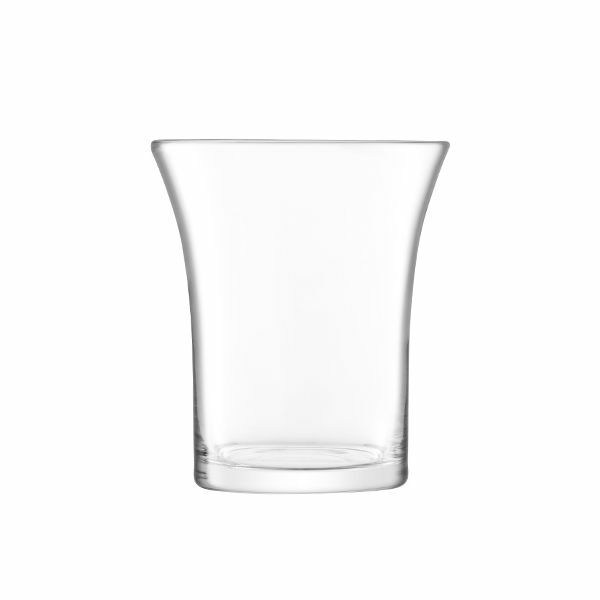 Ideal for serving prosecco and sparkling cool drinks on special occasions and entertaining. 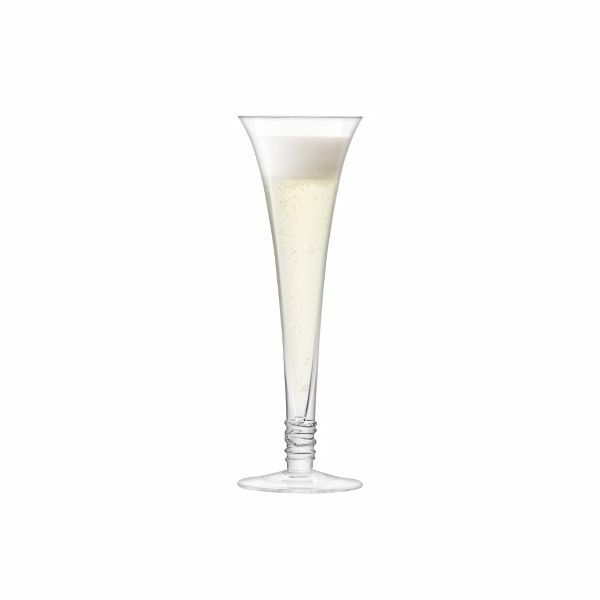 Each of the flutes has a single thread of clear glass spiralled around the hollow stem for the perfect finishing touch.